OneUniqueWoman's Words - What is a WRITER?? Designed to evoke heightened feelings. Creating in another a sense of awe and wonder. His truths trapped within his words. The story he intends to tell through sound. Vivid pictures in the mind of the reader. Created by a master crafter of words. The mysteries of life lived and life lost. An extension of himself through his words. 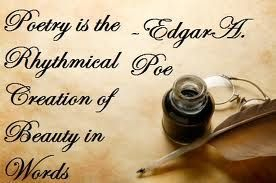 If you were to ask, what does poetry mean to me? Necessary to all that lives within my being. Provides sustenance to my body. Vision to my soul, of my purpose here. As one might see it to be. And also, one of tremendous responsibility. Through your words and imagery. As sonnets pour fourth, held in love and truth. For any other that exists. YOU MUST OBTAIN THE AUTHORS WRITTEN PERMISSION to do so. Thank you for not stealing intelectual propery and offering respect to the writers of these items.